The rally started at 8pm at a McDonalds in Graz where we teamed up with Audi Austria. 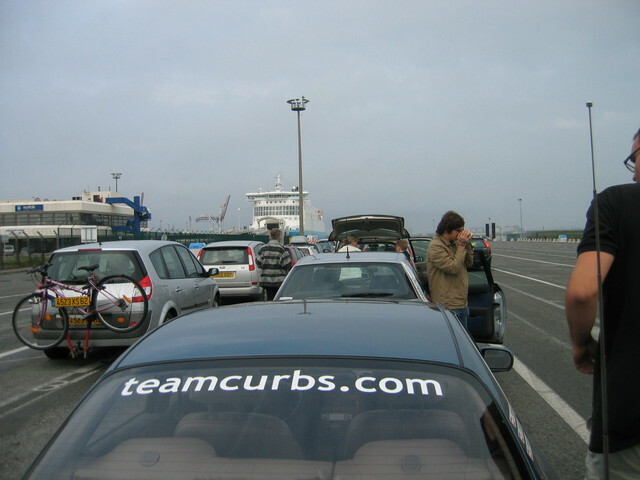 Together we drove through Austria, Germany, Holland and Belgium to reach the ferry in Dunkerque, France at about 10am next morning. 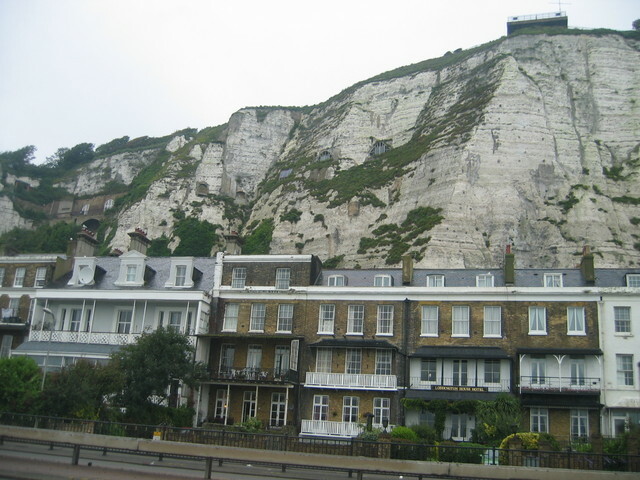 We arrived exactly 1hr before departure, and after a 2hr ferry ride we reached Dover. 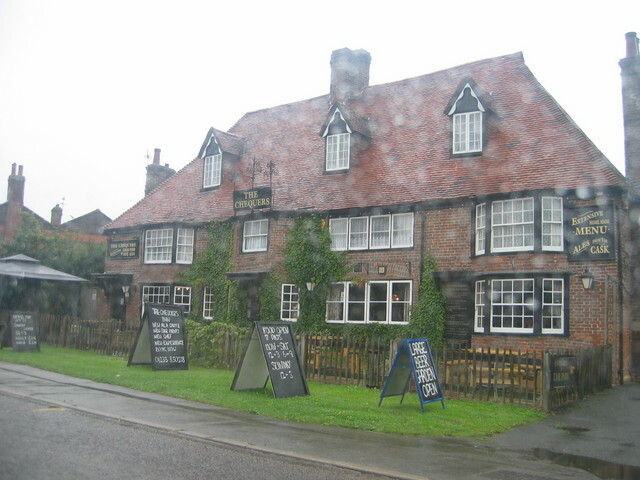 Immediatly we departed for Brigton, this time on the left side of the road which was kinda odd for us. 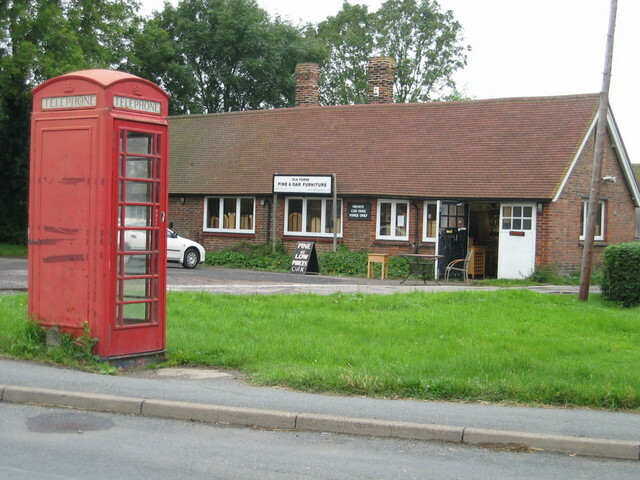 The plan not to use the motorway passing by London ended up in a long drive on B-roads through the English countryside. In Brighton we stopped at the race course to take a look at the starting point of the SBA 2007. 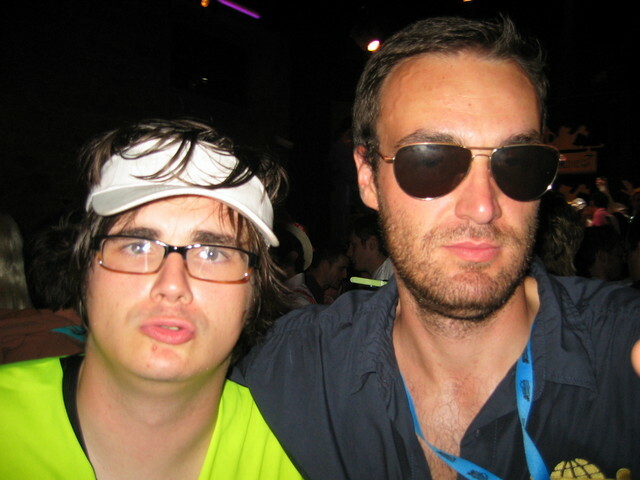 We spent the night at a cheap and quiet camping site near Brighton where we met Team Bavaria. 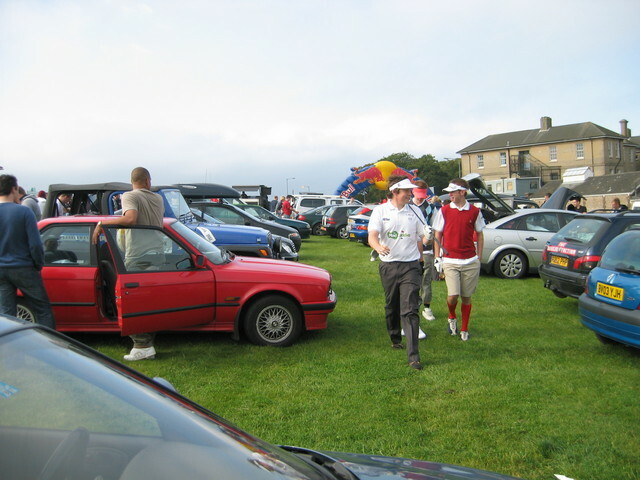 Arriving at Brighton Race Course we already saw some nice cars parked on the grass ready to eat the miles. After a short speech of one SBA official we went through the registration of our team and finally started our V6 engine. 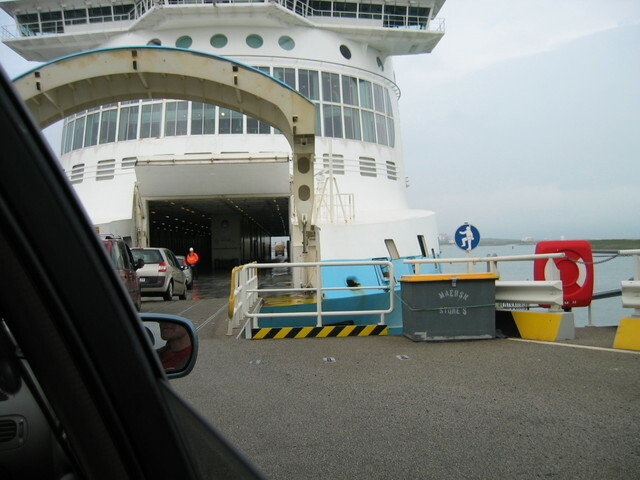 First aim was to drive down to Dover to catch the ferry to Calais. 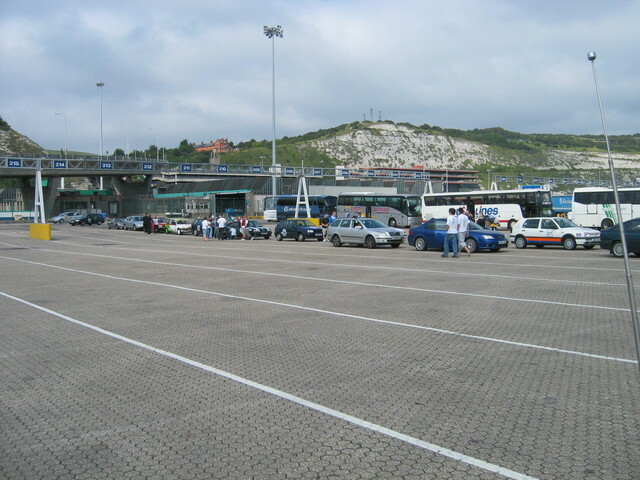 It was great fun meeting with the other teams on the road and on the port terminal in Dover. On the ferry we strengthened ourselves with some snacks. 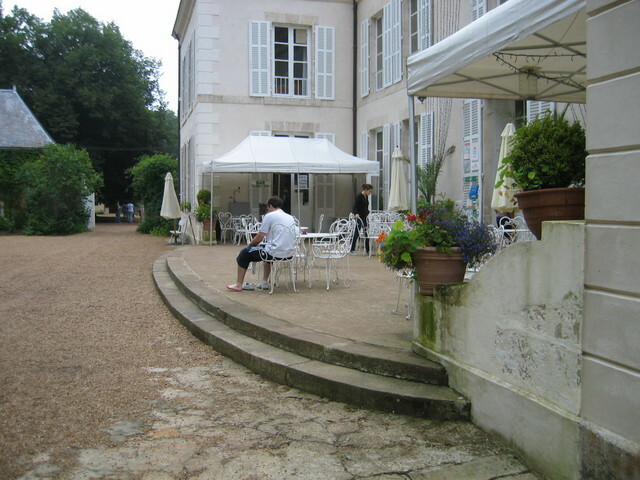 From Calais time schedule was rather tight to arrive at Chateau de Chanteloup. After some detours we came there in a good position (top ten) to start building up our tent. 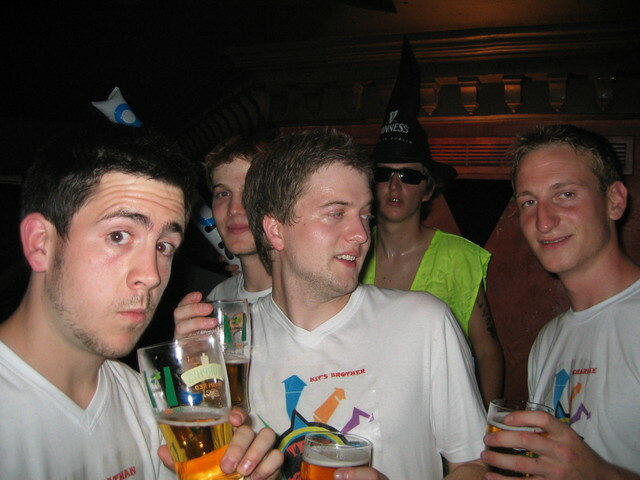 The beer did not taste too good, but we had a lot of fun until early morning. Seeing the Chateau for the first time at daylight we were overwhelmed by this splendid location. We took a chilly Red Bull and a Croissant for breakfast, stomach-ache included. 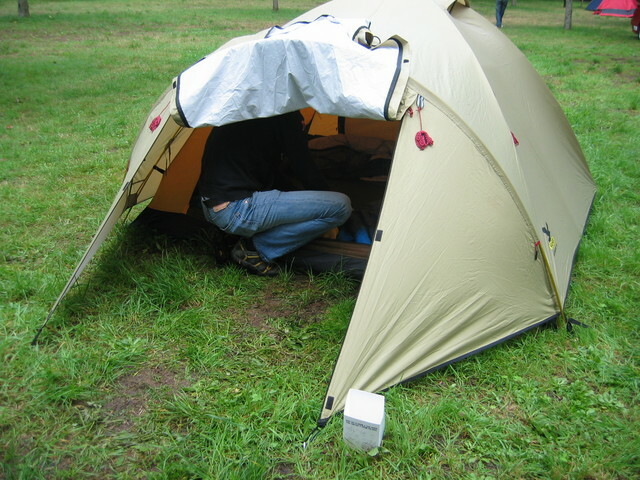 As the first few teams set off for our next stop, San Sebastian, we packed our tent and programed the Sat Nav. 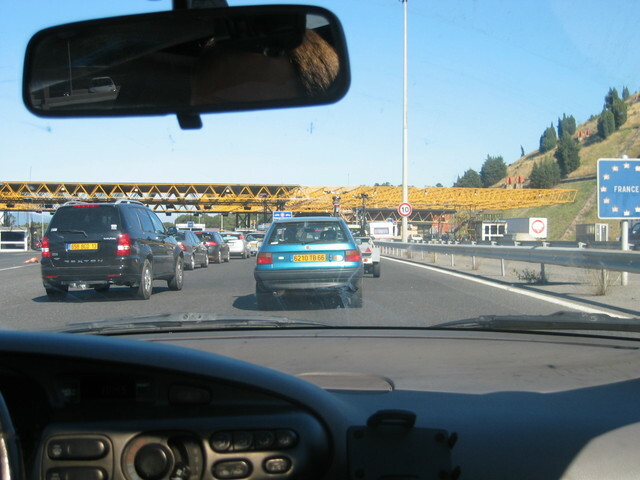 The drive through France was not really spectacular, only we felt the rising temperatures. A gas-stop and a driver-change later we arrived in San Sebastian. This time we followed the instructions of the Sat Nav and got a great view on the beach. 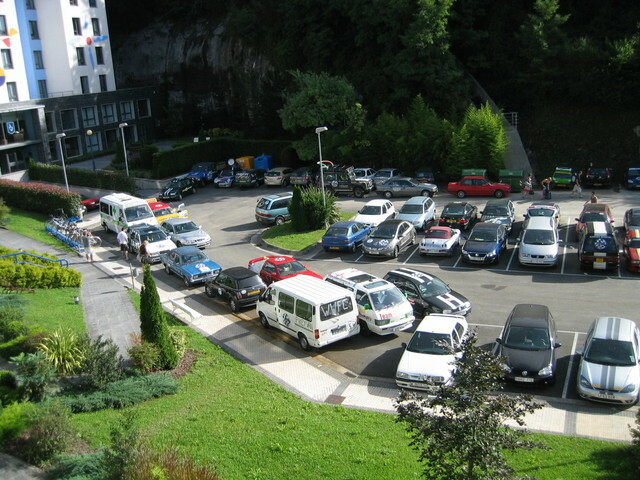 We quickly found the hostel and teamed up with Audi Austria again which arrived there one and a half hour earlier. 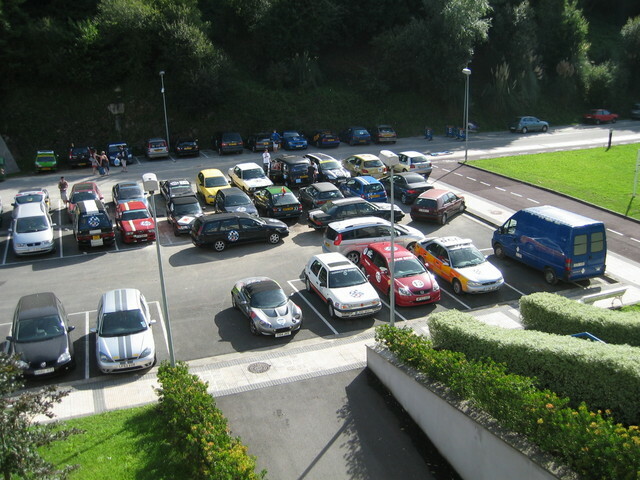 Only a few other cars were already there including a crew-car, so we could quickly check in to our 3 single rooms. Beeing on a journey with the english means no local food, just fastfood – and that’s what we went after – McDonalds again. Back in our hostel we took a shower and went down to the beach for a quick beer. We were just too tired to do a pub-crawl, so we went to bed fairly early. Mission detour today. We set off together with Team Audi Austria and Team Fiatini and lost them in the first roundabout 500 meters after the departure. Apparently their navigation system again suggested the faster route, we left San Sebastian taking a very mountainious and slow route. After overtaking nearly half of the Tour the France cyclists we reached the summit of the mountain. 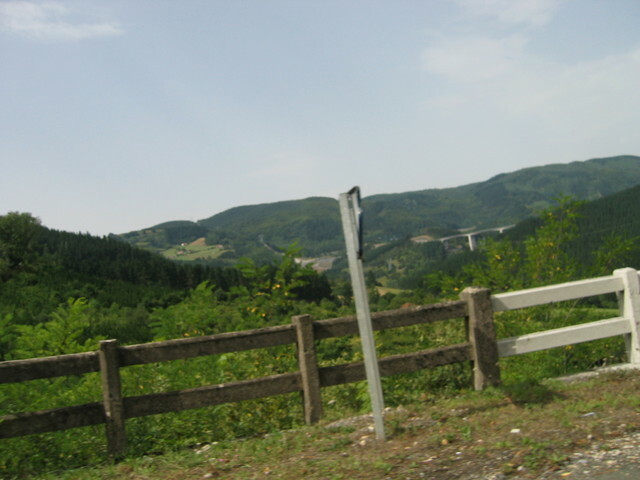 The view was very nice, driving down again. 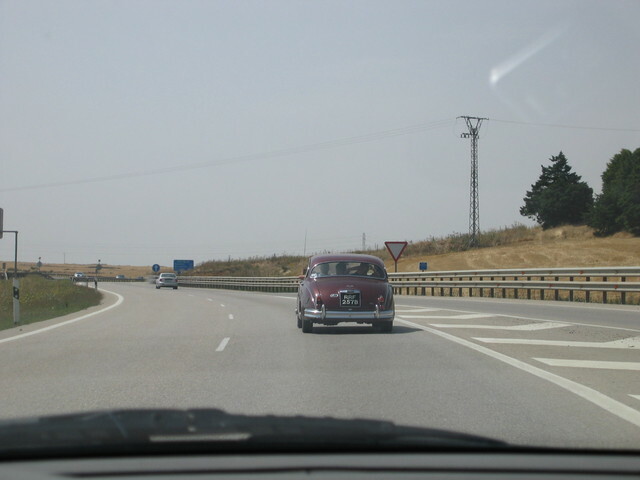 On the following motorway we met the nice old Jaguar Mk2 and followed her in the wrong direction. Re-routing ourselves we lost the Jag again, never seeing the old lady until Salamanca. First planned stop was Penafiel Castle for lunch. 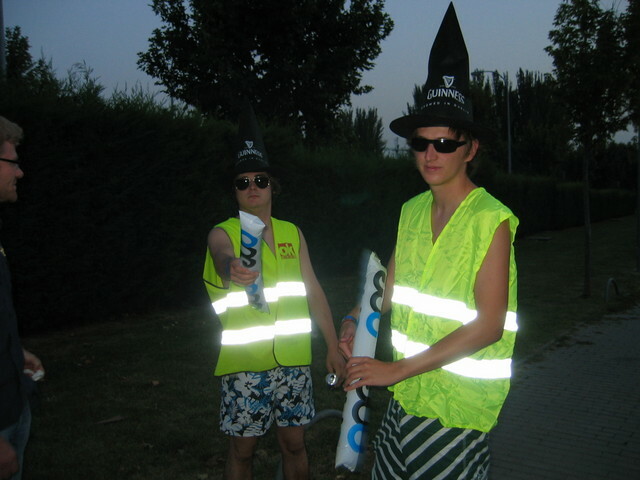 We had a lot of troubles to navigate to the meeting point. 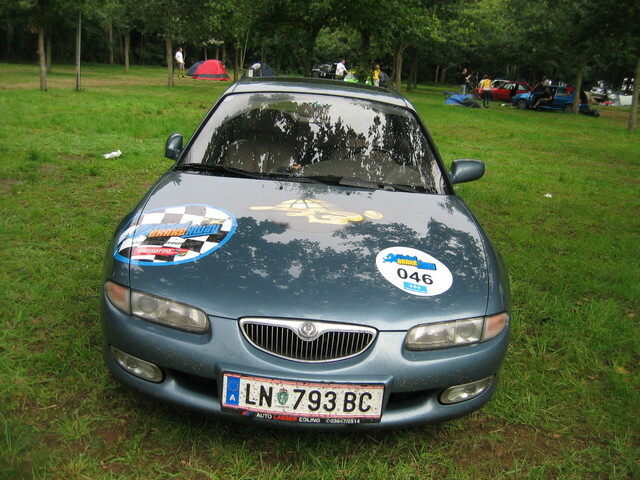 Immediately we decided not to stay there and startet together with the Audi, the Fiat and the British BMW 325 to take lunch at the next Mc Donalds. 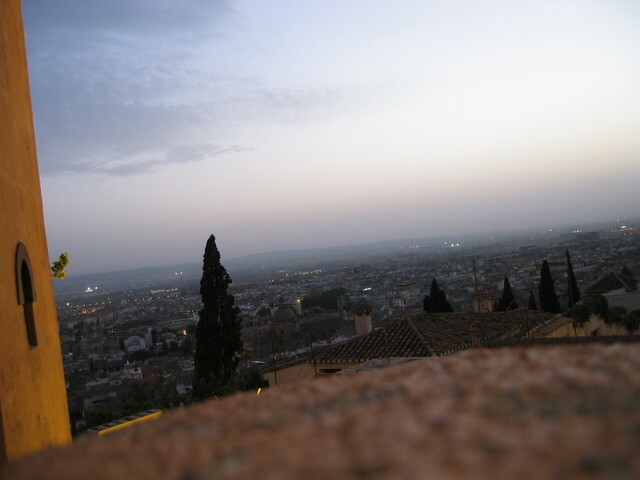 In Salamanca we had dinner, a very good Paella and our Captain ordered Lasagne which was really much too little for him. 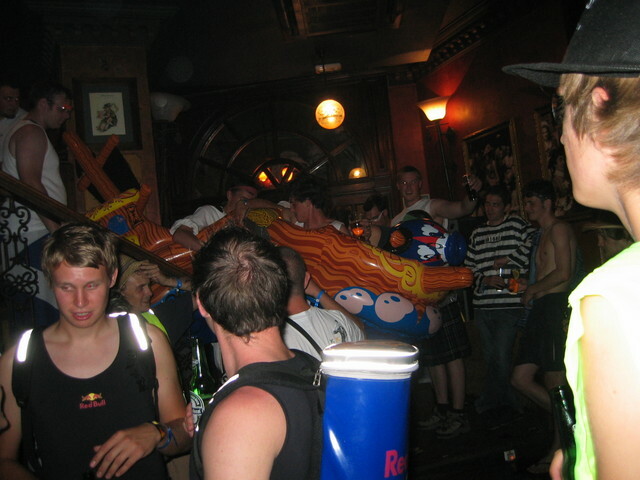 Pub crawling in Salamanca was very funny, we drank a lot and made party until early morning. Mission complete breakdown. 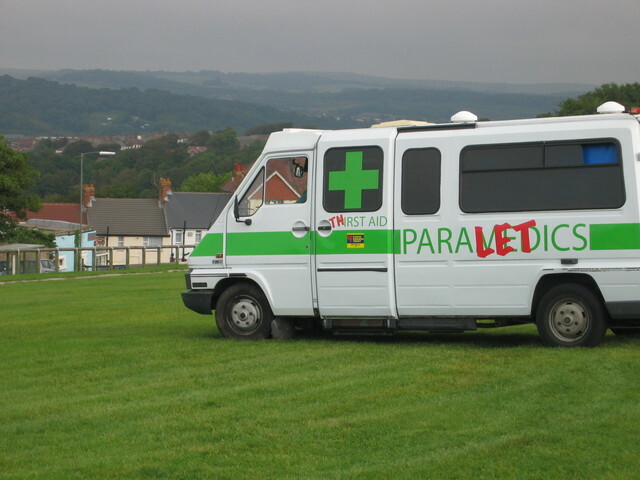 Everybody had a very bad hangover, that is why it took some time for our crew to get going. When we finally set off after a few kilometers we had to stop again to empty our stomachs. Lunch (one small sandwich) and refuel stop at the motorway. 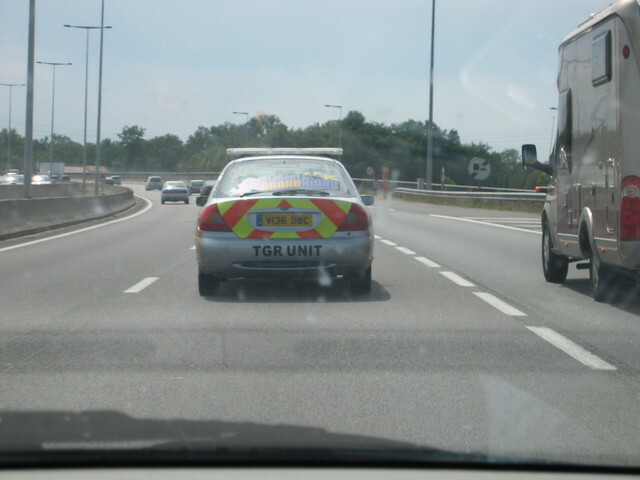 In the afternoon it suddenly got really hot on the motorway. Some teams said they measured more than 43 degrees Celsius. 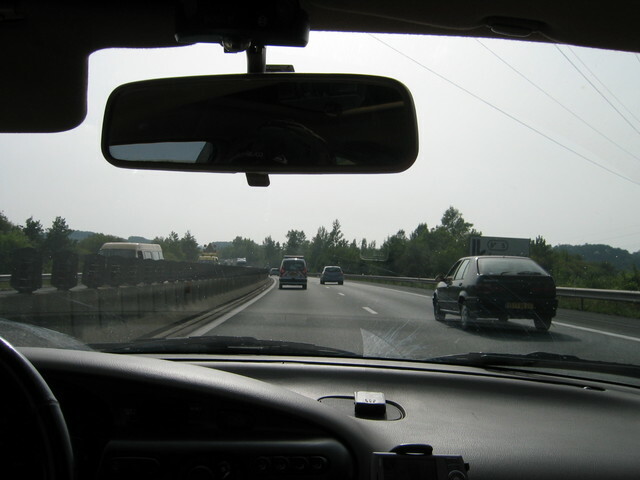 That was the time when our air conditioning started to fail, it got hotter and hotter in the car, so hot that the coolant fluid started to drop on our right front tire, producing a strange smell in the car. 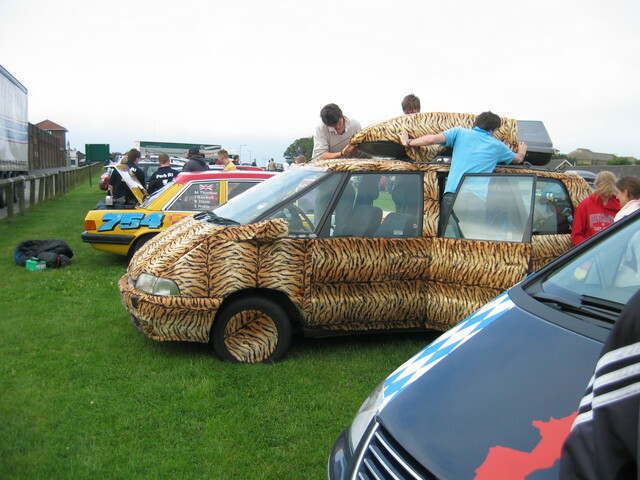 The day before the car smelled completely different, but that did not worry us too much. 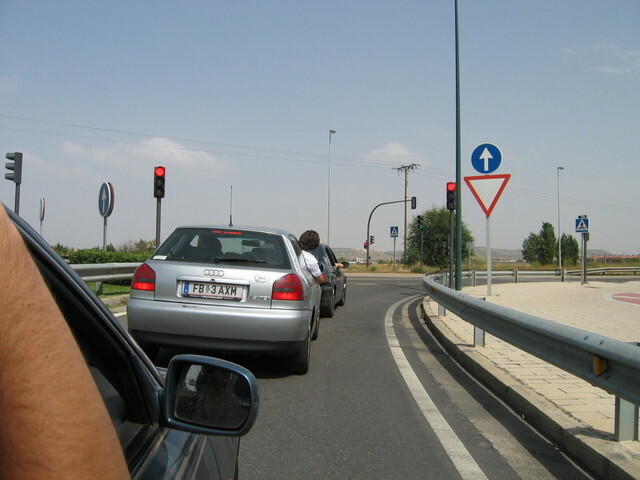 We continued our journey down to Granada, the motorway was full of potholes that Andi tried to avoid steering around them. 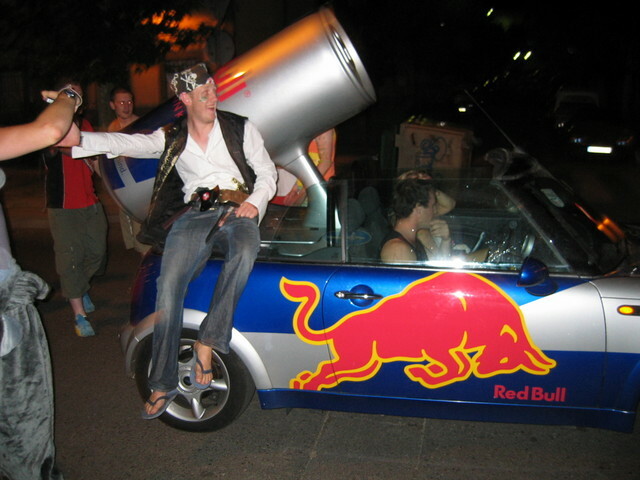 Sometimes the car nealy jumped. 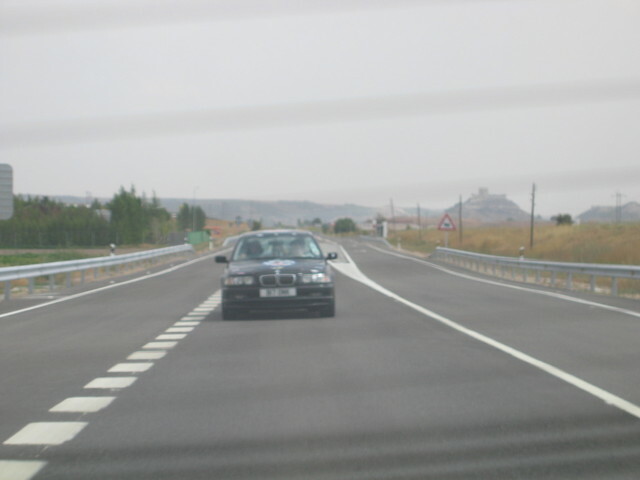 Arriving in Salamanca we met the Lotus Elise Team, the 2 Honda Civics and the red BMW. Together we made our way to the accomodation. When we got there, our Mazda produced a puddle from the overcooking cooler because there was far too much cooling fluid in it. 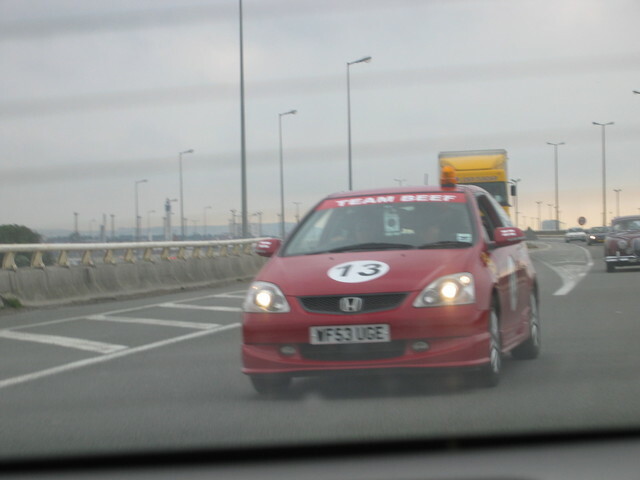 Besides that he made a really worrying noise like a chainsaw when revving up to 3500 rpm. That was not good. We located the problem in one or more destroyed ball bearings near the power generator and the air conditioning compressor. With that we could not continue our journey, we did not want to risk a complete brakedown on the next days trip. We also were very tired, looked for some drinks and food and immediately fell asleep. Mission time killing. In the morning we managed to get our car to the next Mazda service station while the other teams started their journey to valencia. 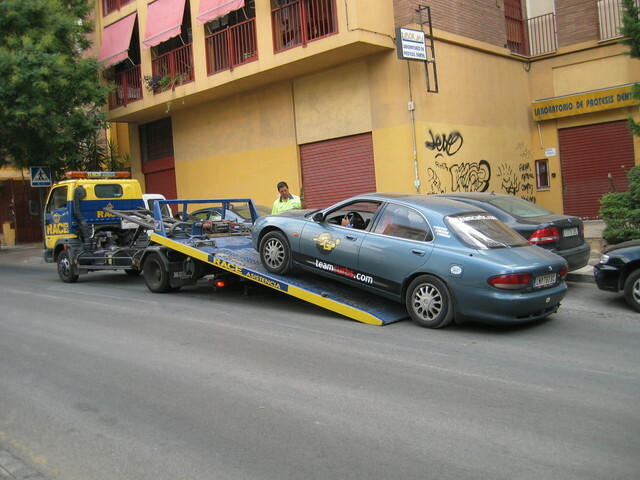 They told us that they don’t have the necessary parts and have to order them from Madrid which is what they did. After a few minutes of filling out forms and stuff we were told that the parts may arrive the next morning and they will call us, so there was no chance of continuing our journey at that point. 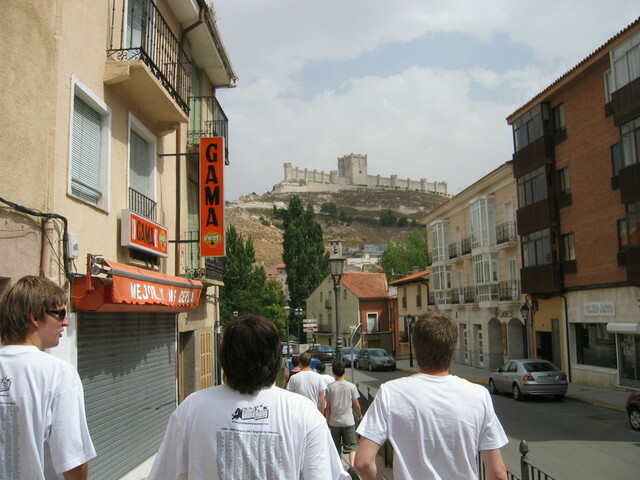 We called it a day off and watched a few Top Gear episodes and checked out the tourist attractions in Granada. We went to bed at about midnight. The day started with a nice breakfast at our accommodation. We killed time till late midday when we decided to get a taxi to the Mazda service station to look after the car. Surprisingly they were about to finish the repair and fired up the engine. To our surprise it still sounded like a chainsaw. We were told that it is the compressor of the aircon and that we can continue without problems not using the aircon – which is what we did. 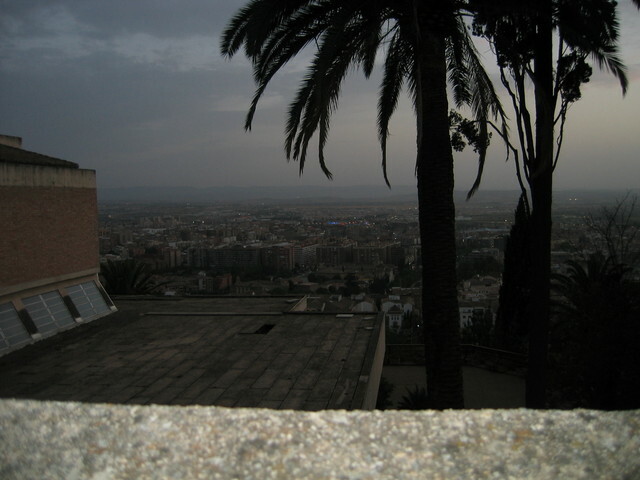 After a few hours of driving we arrived in Valencia at about 8pm in the evening. One of the crew-girls couldn’t believe we really made it and immediately we each got our rooms where we could take a shower and prepare for the final party. A few minutes in a tram and we arrived at the beach only to learn that we have to wait another hour for the SBA awards and the club to open. 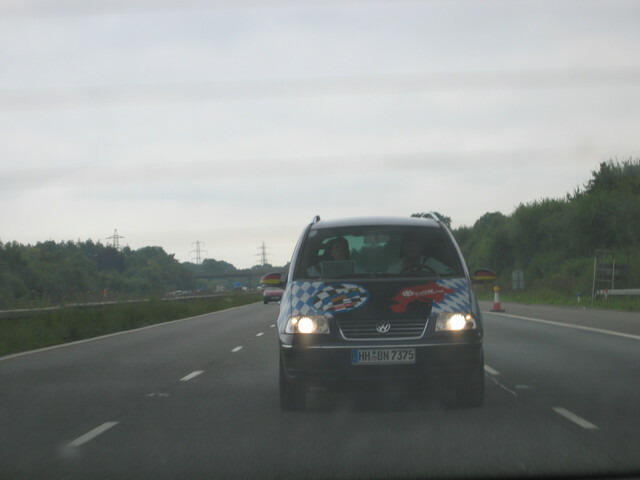 We managed to get some fastfood and teamed up with Audi Austria, Fiatini and the guys with the BMW 325. 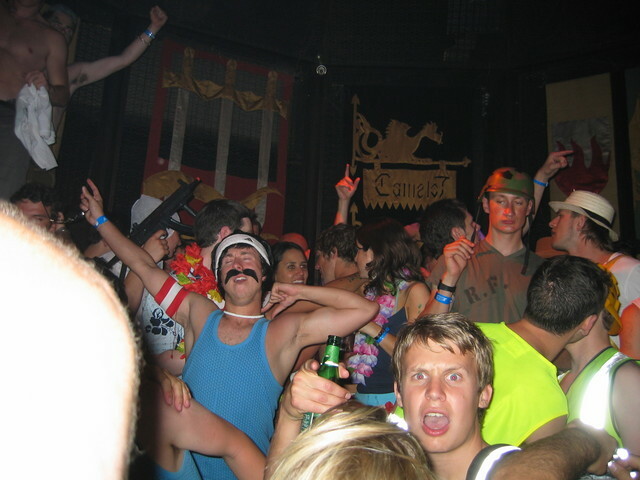 None of us did get an award – surprisingly – so we queued at the entrance of the club to learn that they won’t let guys in shorts enter the club. 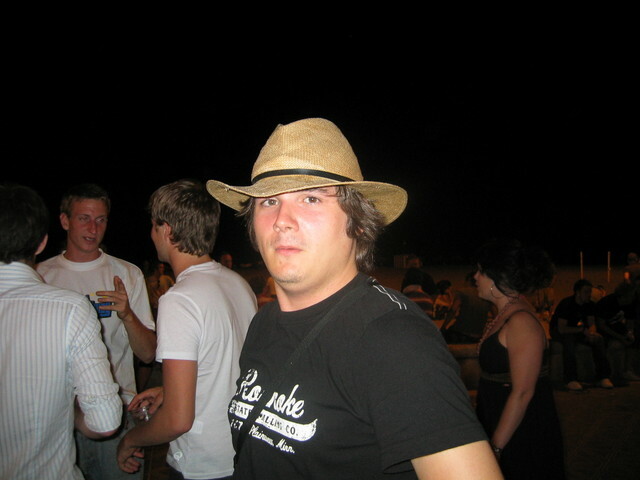 Other than that every drink was about 10€, so we decided to have our party at the beach with beer and wine. In the early hours in the morning we got a call from Audi Austria. They told us that someone had broken into their car and stolen the satnav, the ipod, the video camera and some other stuff and that the police will arrive next morning. Understandably they were really pissed off. Luckily our car was ok and we had a few hours sleep. We woke up and had a small but expensive breakfast. After that we packed our car, whished everyone farewell and set off. After a few hours driving the troubles began again, when we stopped for gas a few kilometers from the french border. We turned off the engine to refuel, but when we tried to fire it up it won’t run. 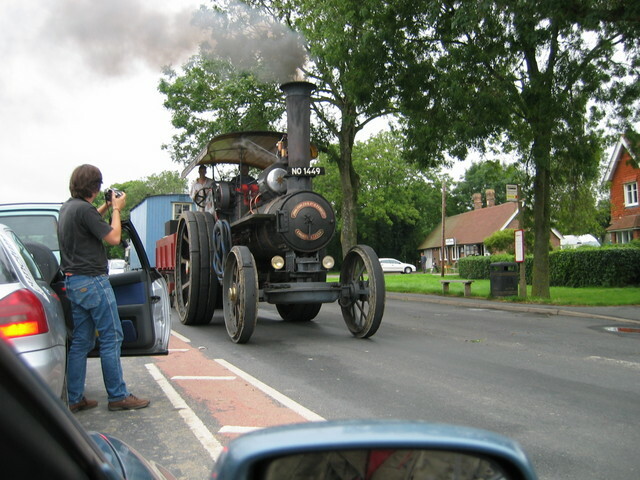 The compressor had finally given up and was blocking the engine – no way to continue driving. We managed to get the car to a service station were they told us to wait till next morning because it was already about 7pm. The spanish automobile club managed an accommodation for us where we spent the night. 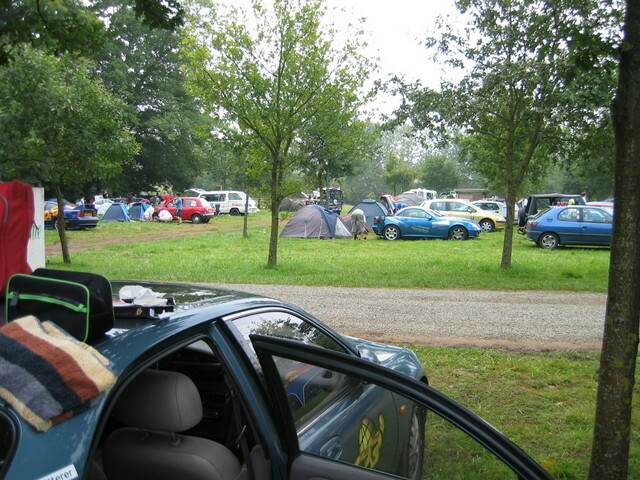 After a small breakfast we walked to the service station were the mechanics gathered around our car. 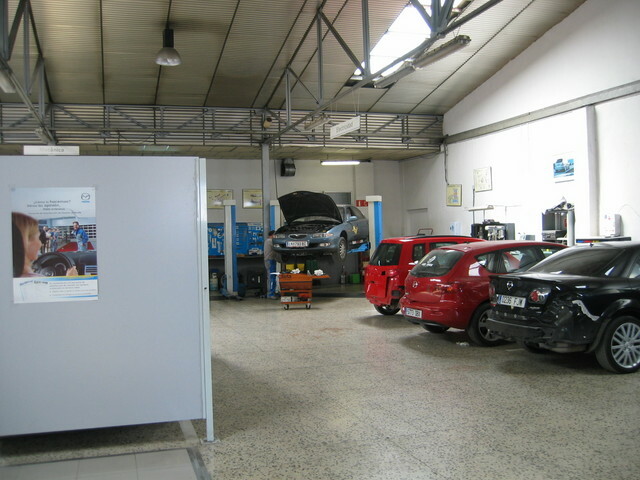 We learned that they fitted in a small v-belt which left out the compressor of the aircon – which is what the Mazda service station in Granada should have done instead of changing the v-belts and some other parts. Free to continue our drive home we set off. The first few kilometers we took it easy to see if the v-belt causes any problems, which it didn’t. Next stop: Lausanne. After about 700km of driving we arrived in Lausanne at about 6pm and met friends(Matzi and Babsi) of ours who have moved over there recently. 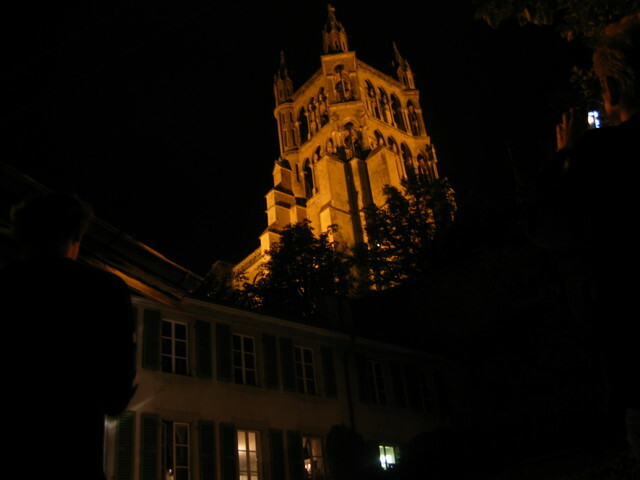 In the late hours that day we checked out Lausanne and went to bed at about midnight. A whopping 1000km drive that day. We left at about 2pm after a late but good breakfast – thanks to Matzi and Babsi. 9 hours, 2 stops for gas and a stop at a BurgerKing later we arrived in Graz for a small welcome beer. What a journey that was .. after 6000km through europe we can’t wait for next years SBA! !